Mike and I both love to travel. Early in our relationship, it was something that drew us together. A shared passion for exploring new places and trying new food. For our entire relationship, Mike has had one vacation he dreamed of: an Alaskan cruise. For all the places we’ve been, things we’ve done and food we’ve tried… a cruise to Alaska topped the list of trips to take for Mike. And despite all our adventures, it was the one trip we never seemed to make it on. 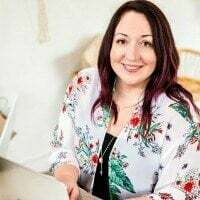 That all changed this summer: I’m thrilled to be able to write this sponsored post, as well as five others, because of the opportunity I had to to partner with Princess Cruises and take our bucket list trip to Alaska! I thought Mike would die of happiness when I told him. Overjoyed doesn’t begin to describe it. He was like a little kid on Christmas morning in his excitement. I loved it! In the weeks leading to our Alaskan cruise, there were a few details to handle. 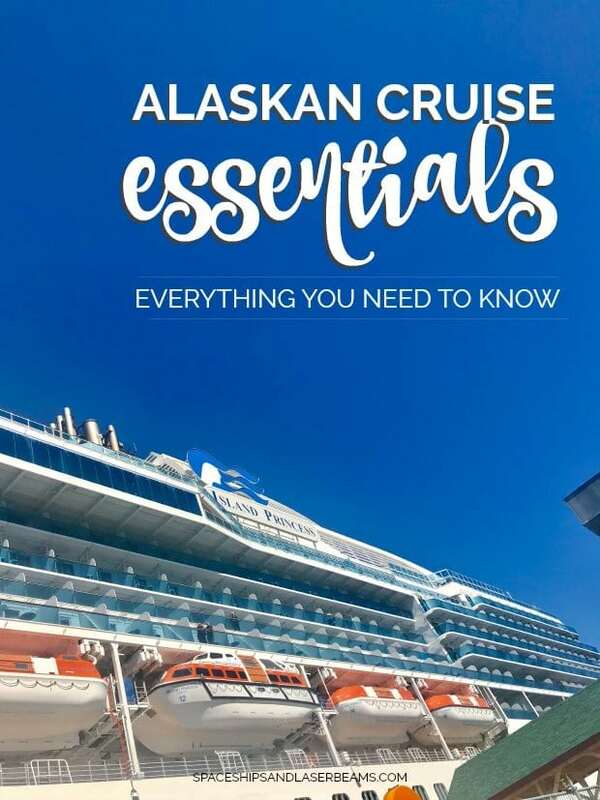 I’m going to share with you how we got ready for our Alaskan cruise! What We Packed For Alaska: Even though it felt like summer back home, the weather was still four seasons in Alaska — so we needed to pack for varying temperatures. I’m glad we Googled the weather ahead of time so we were prepared. Temps were high 80s and nothing but sunshine as well as 50s and rain. For the excursions and messing about on the ship, I packed long sleeve shirts and jeans for cold days and t-shirts and cropped yoga pants for the warm days. 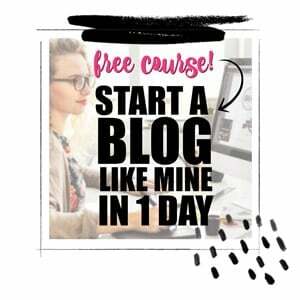 Since our excursions had us outside, having a variety of layers to choose from – in the form of a hoodie, a lightweight jacket and a down jacket – was a big blessing! For dinners on the ship, I packed two nice dresses as well as a variety of “business casual” shirts, skirts and jeans. Some people went all out for formal night, but there’s so much variety in what people war that my advice is to dress up to our comfort level. I normally pack VERY light but I ended up bringing way more shoes than I normally do. Flip flops were a must for hanging out on the ship. I also brought dress shoes, booties, sneakers and hiking shoes. Don’t stress too much – remember there’s laundry on board! Other Odds and Ends: I stuck sunscreen in my bag and it came in handy during some sunnier days while doing excursions. I heard bugs in Alaska can be huge… so I packed bug spray. But I didn’t use it once but would still recommend it for those traveling later in the season. The beauty of a ship like Island Princess is that you can get just about anything on board. My allergies started acting up on the trip and a quick stop in their shop to get some medication had me feeling better in no time. Gadgets: I also packed a portable charger for our cell phones, which was a great way to prolong battery life on busy days when we weren’t in our cabin much. I took so many photos and videos that my cell and portable charger was absolutely drained every day. In that regard, I’d recommend bringing a long charging cord for your phone so you can still use it in your cabin while it is plugged in and charging. 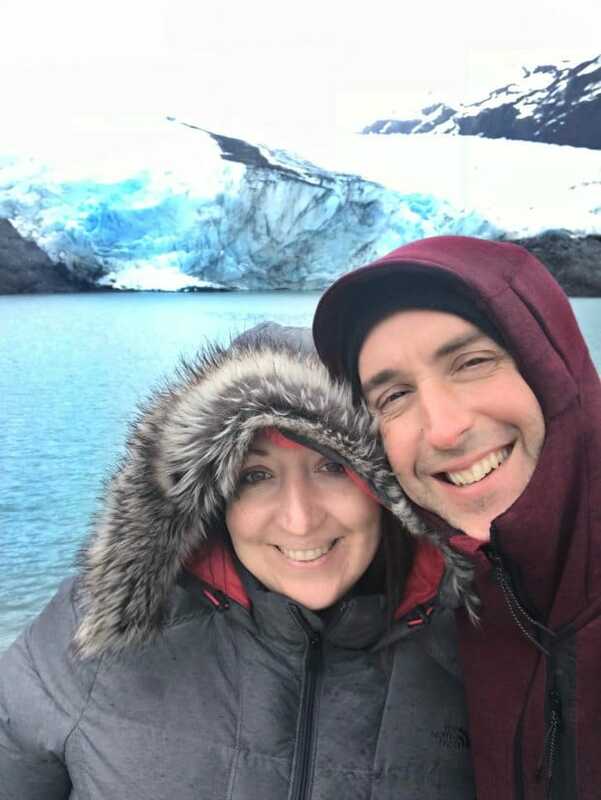 Passport: The Alaskan Cruise we took with Princess started in Vancouver, British Columbia, Canada — so make sure you have a passport! Balcony Room: I’ve heard with some cruises, it’s not a big deal what type of room you stay in. 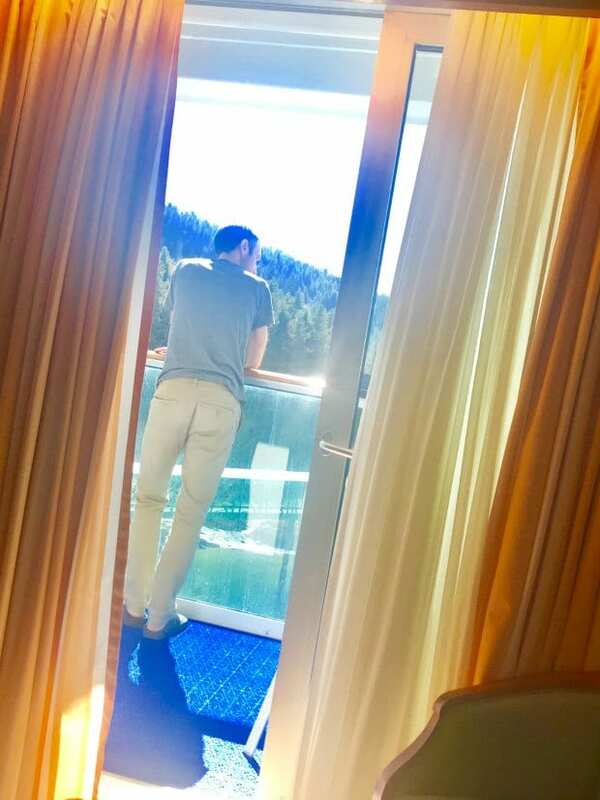 But with our Alaskan cruise, the balcony room was everything. Every single Alaskan view is incredible and I was so glad we could see so much from our room. 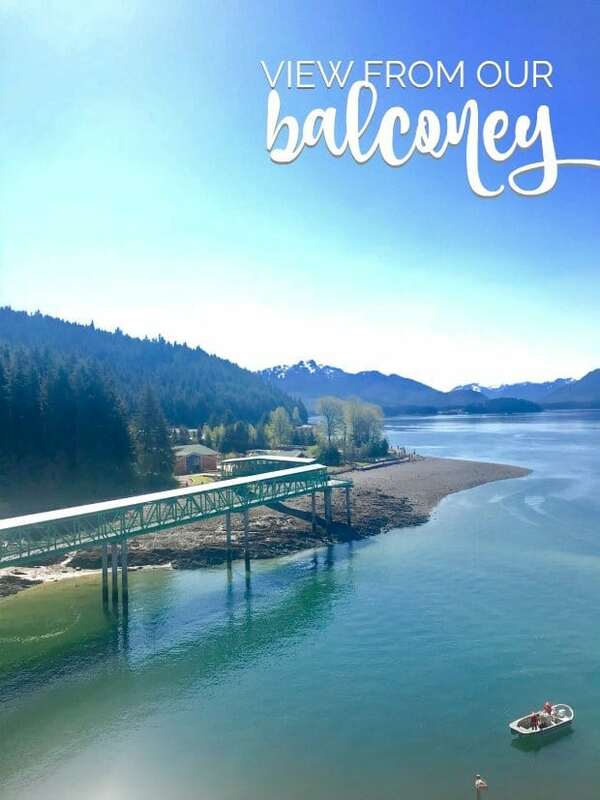 When we entered each port in Alaska being able to stand out on the balcony and take in each new destination was so worth it. 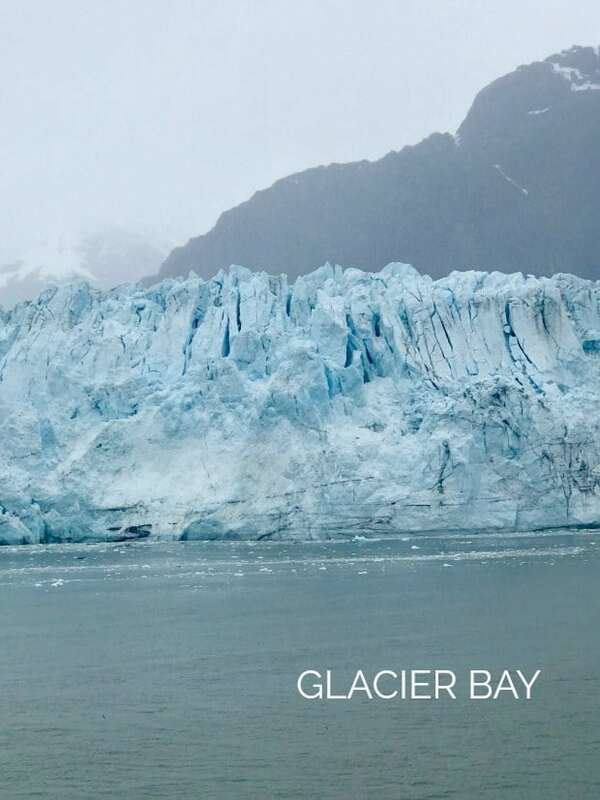 But it was when we were able to see the spectacular glaciers in Glacier Bay FROM OUR ROOM that it became priceless. Breathtaking doesn’t begin to cover it. Planning Ahead: I was so glad we took time to research activities that we were interested in, as well as great dining at ports we stopped at. I felt like we were able to enjoy everything the cruise had to offer because of just a little planning. In the coming days, I’ll share more about our experience taking an Alaskan cruise with you. You’ll be ready to pack your own bags and head out when you see the food and activities we were able to enjoy!